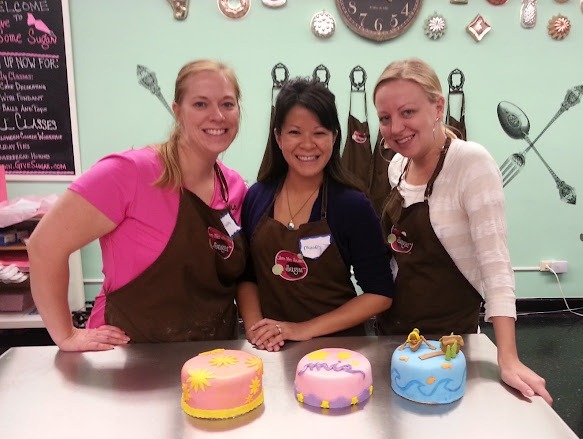 On another random Groupon adventure, I joined Mindy & Andrea on a night of BYOB fondant decorating class. (As long as there’s wine involved, I’ll sign up for any Groupon). The class took place at a cute little spot on Belmont called, Give Me Some Sugar. I must say, I was quite the fondant natural. 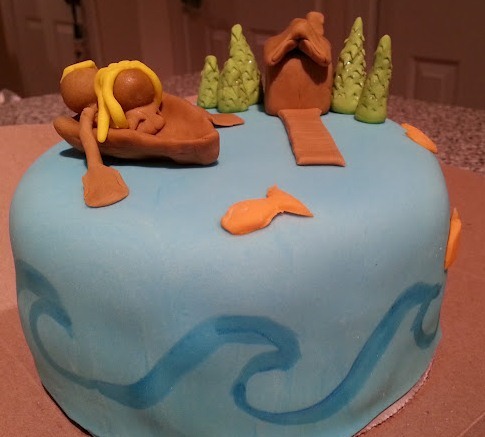 Since it was the day before my boyfriend’s birthday, I decided to decorate the cake for him, and went for a scene from Michigan, where we spent many weekends this past summer. I don’t know if I’ll ever decorate a cake with fondant again, but it was definitely a fun experience! If this isn’t a masterpiece, I don’t know what is. And yes, I hand sculpted all those pieces freestyle! It’s cute! It’s just petite.